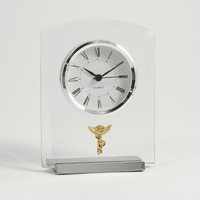 FEATURES/SPECS Nurses are always punching a clock, their every activity timed to perfection. 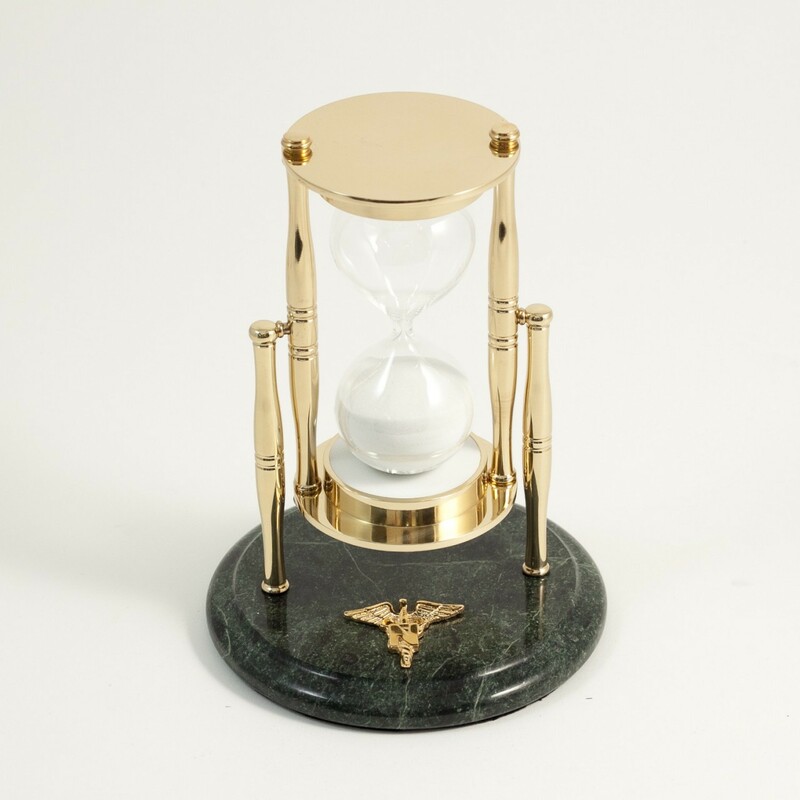 Help them keep time in style with this marble and brass nursing themed sand timer. The base is made of solid green marble. On top of it are two brass posts that cradle a brass and crystal sand timer. The timer has the exact amount of sand to count down thirty minutes. Attached to the base, below the timer, is a brass nursing emblem.